Judy Swan is an experienced lawyer, notary public and mediator with an impressive legal background spanning almost 3 decades. Judy currently holds the position of Principal at Swan Lawyers, an innovative start up law firm. Prior to Swan Lawyers, Judy worked as a Special Counsel practising as a generalist, served a 16 year stint as General Counsel spending most of her time on Employment Law related matters and has worked at Ord Minnett NZ Ltd. Judy has developed a keen interest in Family Law, Commercial Litigation, Employment Law, Commercial Law and helping start-up companies. She is a skilled advocate in any Criminal Law jurisdiction. With a combined Bachelor of Arts with Honours in Clinical Psychology and a Bachelor of Laws (LLB), Judy is well versed in the intricate nature of human behaviour and uses her champion negotiation skills to navigate the most complex of cases. Judy speaks several languages including English, Afrikaans, German, some French which assists her in understanding cultural nuances. Judy feels that law has become unreachable to most which makes Swan Lawyers so important to her. As one client who is an Honorary Fellow, University of Melbourne, says, “I cannot recommend Judy highly enough in the area of family law. She not only sorted out my financial settlement in record time but she did it for about a tenth of the cost.” Her aim is to bring the law back to its roots, which is assisting, helping, negotiating and managing unnecessary problems which cause massive stress. Judy also enjoys helping start-up companies transition from remarkable ideas and concepts to successful businesses by providing them with the right tools and negotiating proper business partnerships for their commercial development. Judy has specialised in criminal law in the past. She still enjoys the adrenalin rush from appearing in Court. What distinguishes Swan Lawyers from other law firms, is that if there is a barrister on brief, Judy is prepared to reduce her charge out rate to that of $150 per hour so that you receive her service at a nominal rate, while engaging an expert if it is required. The decision to reduce fees in these circumstances is to ensure that you, the client, has the benefit of both practitioners at a manageable cost. Judy practised law in Australia (New South Wales, all Federal Court jurisdictions and Tasmania), New Zealand and South Africa. She completed her articles at a commercial law firm in Johannesburg, Werksmans and then worked as an associated at a firm now incorporated in Cliffe Dekker Hofmeyr in order to move to Cape Town. As a result of the State of Emergency Laws in South Africa, she undertook her pupillage and was admitted as an Advocate of the Supreme Court of South Africa and Namibia. During her experience at the bar, she earned a reputation as being a champion of human rights. Due to the excessive number of cases and the rules of the bar at the time, she started with her partner, Kramer and Kramer. During the pre democracy years of South Africa, she focused mainly on bail applications, family law and violence matters and criminal trial work. In Wellington, New Zealand she worked at a stock broking firm before joining a small law firm to continue her passion. 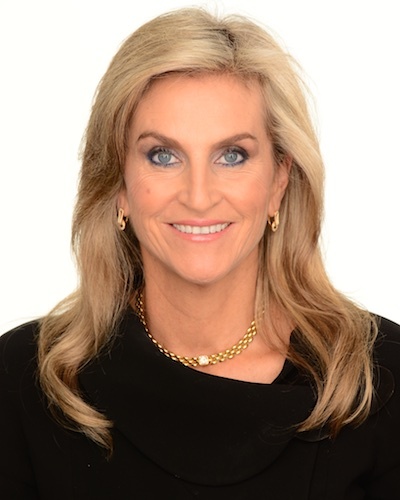 She migrated to Australia where she worked at Holman Webb focusing on commercial litigation, family law, criminal law, immigration law and personal injury law. In 1999 she worked as an in house counsel for a large cleaning company until 2013. During this period, her focus was mainly on employment law. In 2013, she joined a law firm which has a general practice but with a focus on start-up companies. Judy developed skills in the expanding area of start-up law but continued practising in areas of employment law, family law, corporate and civil litigation and criminal law. Her focus is on resolution rather than wasted protracted litigation. Due to her commercial experience, she is able to offer her services to restructure companies at minimal costs including costs of litigation and redundancies. In the last year, Judy has focused largely on Family Law particularly on children’s matters. Because of Judy’s training, life experience and the fact that she has four children means that she has a greater understanding of the complexities which result in the separation of couples. She is sensitive to her client’s needs while protecting the interest of the children to ensure that their future is not tarnished as a result of hostility between their parents. Recently admitted as a solicitor in the Supreme Court of New South Wales with a growing passion for commercial law and an understanding of the growing role of technology in the legal services industry. 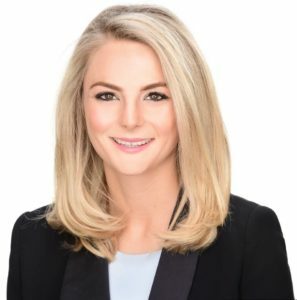 Sarah has a demonstrated history of providing efficient and affordable client-driven solutions while applying the technical skills learned during her legal education at the University of Sydney.